In this inspirational and fun-to-listen best seller Graced by Grit: The Entrepreneurial Woman’s Guide to Starting a Business with Power, Passion, & Purpose, two ambitious (and gritty) entrepreneurial women share their experiences and give you tools so that you can realize your dream and start your own business. This is an engaging audiobook that will guide and motivate you as you build the confidence you need to launch your business or new venture. 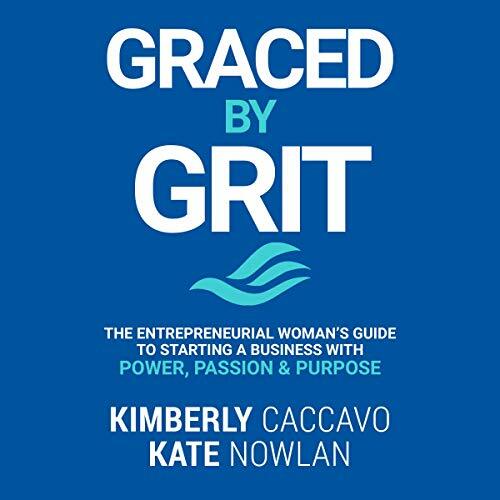 Graced by Grit shares stories of the incredible and inspirational women the authors met while successfully founding, building, and selling their company. They walk you through the steps required to catapult your business idea into action. Throughout the audiobook, they help you gather your courage, find ways to fit your new venture in your life, and give you the boost you need to develop a plan to make your dream a reality. Stop thinking about starting a business. Listen to this audiobook, and make it happen! The audiobook is read by the authors.